Did you know: Cranking is the first action in an automobile engine? When we think about an Automobile, the word originates from two ancient Greek words. The word ‘autos’ meaning ‘self’ and ’mobilis’ means movable which simply means that it’s a machine that moves on itself. The automobiles, especially the cars, have come a long way since their inception. In order to get an engine running, it first needs to be rotated at sufficient speed. Thus, it gets the fuel pumped up to the cylinders and ignited and enables the engine to run on its own power. 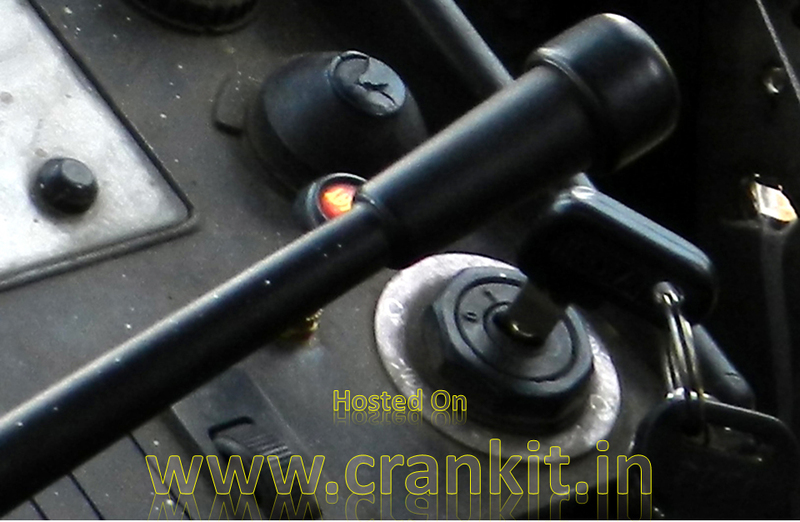 Cranking the engine which simply means turning the engine’s crankshaft that rotates the engine to power itself. 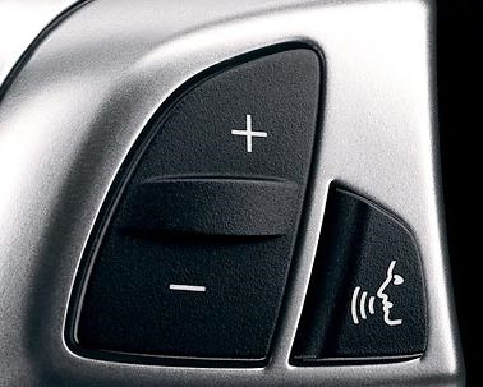 Firstly, push-start means starting the vehicle by pushing it from behind and engaging a gear when it gets some speed. Thus, the motion of the wheels is transferred to the engine in the reverse order for cranking. This is a common practice for starting the vehicles with a manual gearbox when its starting mechanism fails. Although, it is not a regular practice as it requires other people to push. However, it is very useful especially in the case when the battery is discharged. Secondly, back in the Nineteenth century when the automobiles were in their infant-stage, all the automobile components were pre-dominantly mechanical in nature and operation. There was no system of generation and storage of the electric current. Thus, it could not be used as the means to power different electrical instruments as there were none. Hence, the duty of cranking the engine was left to its mechanical components. 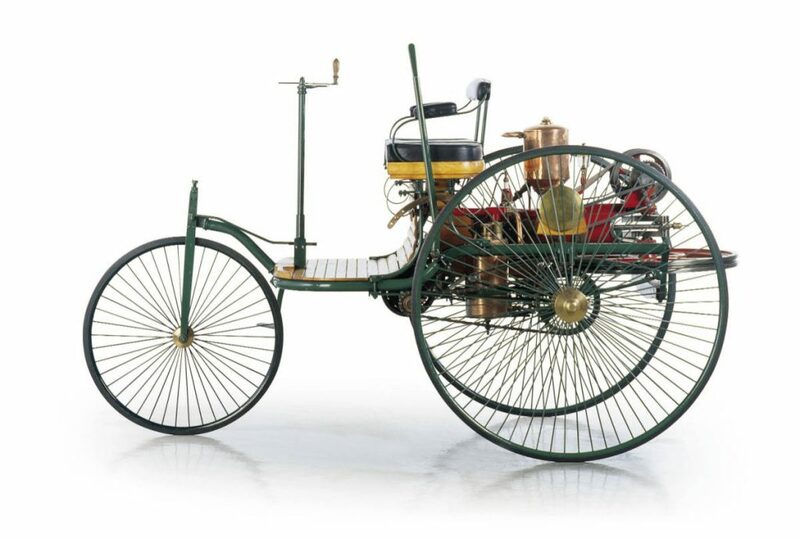 The Benz Motorwagen – A light carriage for personal transport which is commonly regarded as the ‘World's First Automobile’ produced way back in 1886. The Benz-Motorwagen was a simple three-wheeler with a single-shaft handle to steer the front wheel. It was powered by a horizontally mounted Benz 954 cc, single-cylinder, four-stroke engine which produced 2⁄3 horsepower (0.50 kW) at 250 rpm. This tiny single cylinder engine had an ‘open crankcase’ supported by a bigger flywheel. The flywheel also acted as 'Cranking Wheel' to rotate and start the engine since there were no electric starter motors back then. As the automobile industry started evolving, the innovations replaced old technologies. The internal combustion engines became more sophisticated which featured a ‘closed crank-case’. Most of the engine parts such as connecting rods, counter-weights & the fly-wheel itself found their place inside a ‘flywheel housing’ in the ‘closed crankcase’ construction while the engine itself got under a closed hood/bonnet. As a result, the fly-wheel became inaccessible. Hence, the closed hood did not provide for enough space to rotate it from the inside of the engine hood. 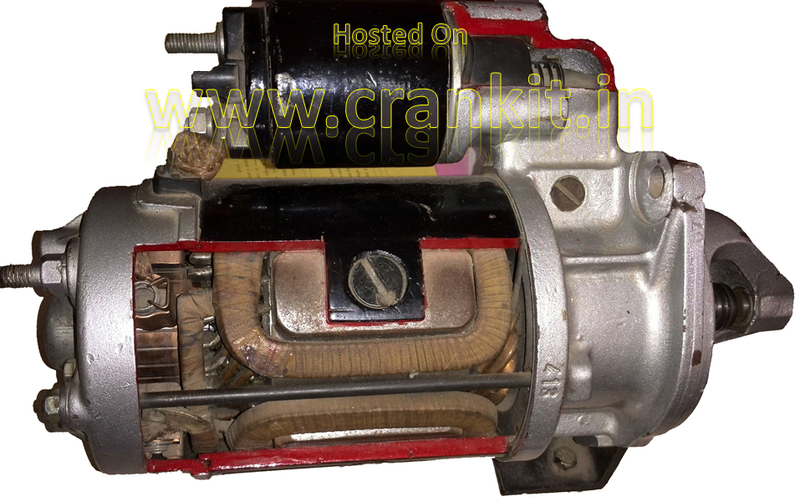 This resulted in the modernization of cranking method with the help of an external cranking mechanism. This bypassed the need of cranking by rotating the flywheel from the back side of the engine. Instead, these cars were provided with a cranking mechanism which was incorporated at the front side of the longitudinally mounted engine. The mechanism was simple - a metal bar bent at 90° at two points formed a ‘Cranking Handle’. 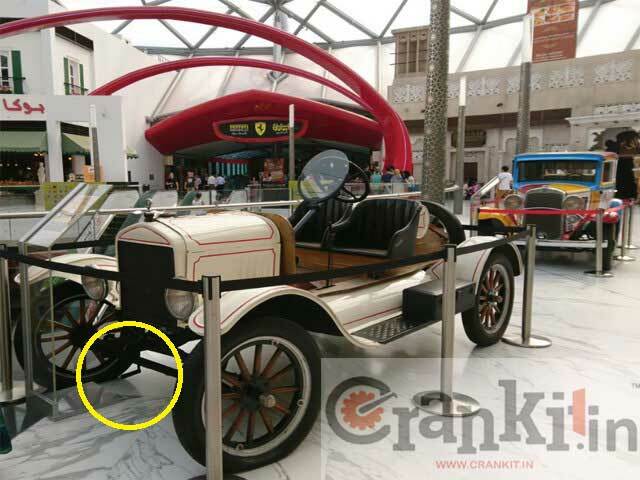 A car with 'Crank Handle"
All vehicles in that era used to have a cranking handle to start the engine. The driver needed to ‘hand-crank’ the engine to start it. The driver would insert the crank handle thru’ a hole provided at the bottom of the front grill and rotate the handle in the clockwise direction as seen from the front. 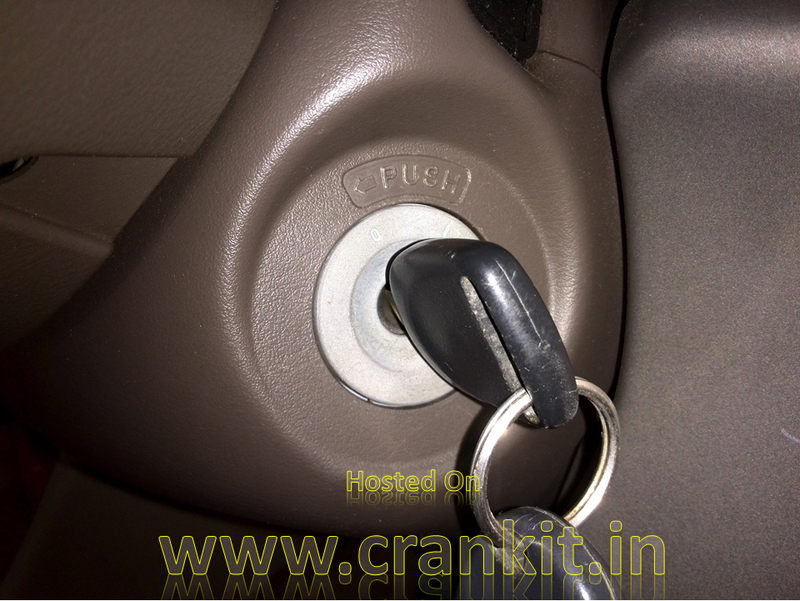 In India, many earlier generation cars in the 1950’s used cranking handles. Ambassador Mark II was one of the cars available with a cranking handle in the 1960s. 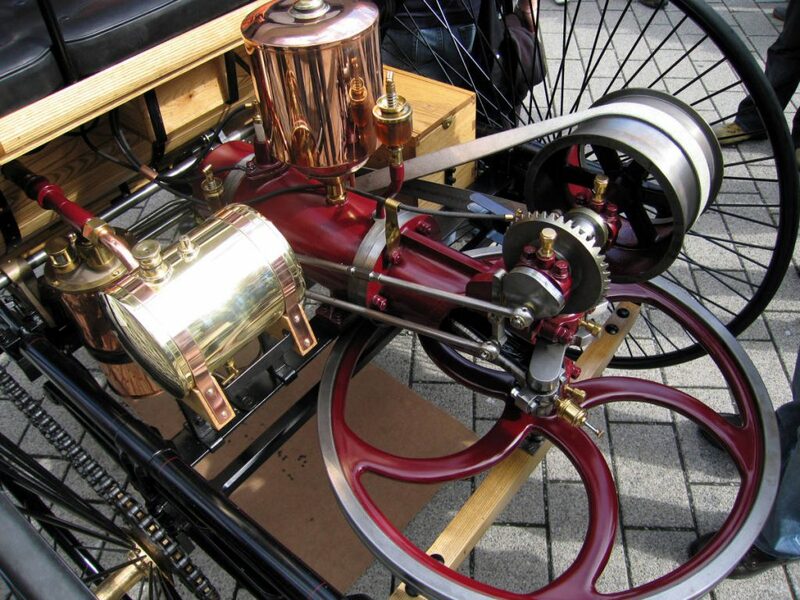 According to “Motorera”, the self-starter originated because of a mishap in the year 1910. A Cadillac car which a lady was driving stalled on a bridge on Belle Island, Michigan. Since she did not have enough strength to hand-crank the engine herself, she waited until the help arrived. Meanwhile, Byron T. Carter also driving a Cadillac car was passing by. He happened to be a close friend of Henry M. Leland who was the head of Cadillac. Carter offered his help to start the woman's car. While doing so, the woman forgot to retard the spark and the engine backfired. The crank handle flew off and struck Carter in his face. Thus, it broke his jaw and later he died. However, this incident saddened Henry M. Leland, the head of Cadillac. He asked his engineers to find a safer alternative to the Cranking Handle. When the Cadillac engineers could not find a solution, Cadillac invited Charles F. Kettering of DELCO to resolve the issue. Kettering invented the first useful electric starter in 1911 and filed for a U.S. Patent. Later, Cadillac first installed the electric starters on its Touring production models in 1912. Incidentally, until around 1949, drivers operated the starter by foot with 'Floor Mounted Push-Lever' mechanism. It was located on the floor near the accelerator pedal. Starting a car with the floor mounted cranking lever was quite tricky. 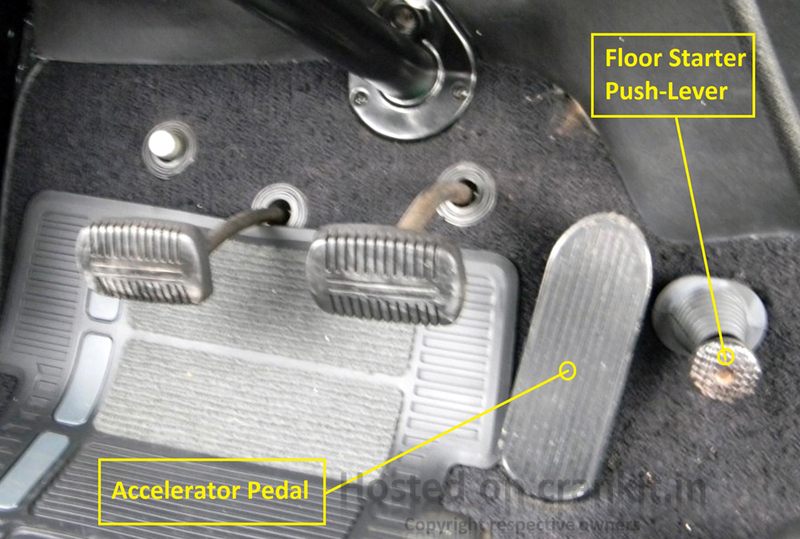 Drivers had to operate it with their left foot on the brake pedal, the heel of the right foot on the accelerator and the toe of right foot pushing the starter lever. Later, an electric push-button with a simple Ignition Key mechanism replaced 'Floor Cranking Push-Lever'. Engineers moved the system to the Dashboard. Thus, making it convenient for drivers to start the engines. This system was quite user-friendly. Hence, Indian commercial vehicles used it for quite a long time as it was simpler to make and also cost-effective. Many State-Run Transport Buses featured this technology. Furthermore, the invention of “Ignition Switch” with the "self-retracting ability" changed the method of cranking the engine in the 1950s till mid-2000. Chrysler Corp. offered a combination key-operated ignition and Starter Switch in 1949. Ignition switch combines the security locking mechanism of the steering in many modern vehicles. Even though the ignition switches & starter motor came in usage way back in the 1950s, the Cranking Handles still existed on many cars as late as in the 1970s. This technology is deployed in the newer generation cars. The Remote Keyless Ignition system (RKI) coupled with Engine Start-Stop Button replaced the conventional ignition switch which is now being used to start the engine. You can start some modern day cars with Remote Keyless Ignition systems just by the push of a button. Future of Cranking: Computerised “Voice Activated Command Control”? Currently, the voice-activated commands limit their use just to operate the infotainment systems in the cars. At the moment, with this feature one can only operate limited features such as a music system, navigation, and a mobile phone, to name a few. Engineers are developing new systems with this technology so that many more car features and systems could operate over the commands of the driver. Possibly, the mobile phone’s apps could also pass on the voice-activated commands in the future. The future is quite unpredictable as innovations keep happening around the automotive systems. A Hollywood Movie "2012" scene showed that cranking the car’s engine and starting it by the ‘Voice-Authenticated-Engine-Start’ feature of the Bentley. Although, we could not confirm the existence of such technology on Bentley’s website; it is very likely that in the future this type of biometric systems may take over. Furthermore, we may find more ‘Talk-To-Tech’ systems in the next generation of cars which we have to wait and see. 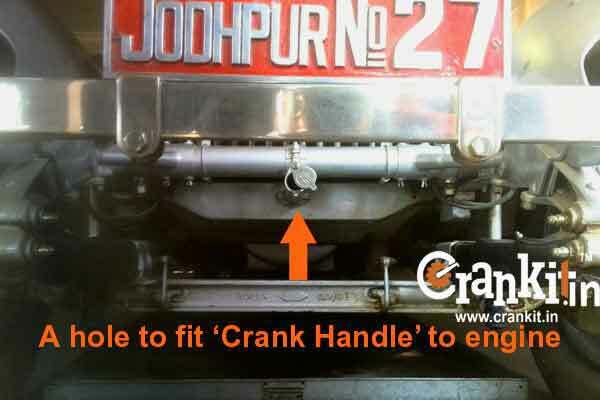 Home » Articles » What is Cranking & How Does Hand Cranking work?